This book provides a comprehensive overview of the theory, functioning, management and legal background of the insurance industry. Written in accessible, non-technical style, Insurance Theory and Practice begins with an examination of the insurance concept, its guiding principles and legal rules before moving on to an analysis of the market, its players and their roles and relationships. The model is the UK insurance market which is globally recognized and forms the basis of the insurance system in a range of countries in the Middle East, Africa and the Caribbean as well as Australia and Canada. The book covers the underlying ideas behind insurance transactions, together with the legal and financial principles that permit these concepts to function in the real world. alternatives to the established private sector insurers, such as government schemes, Islamic insurance and alternative risk financing. 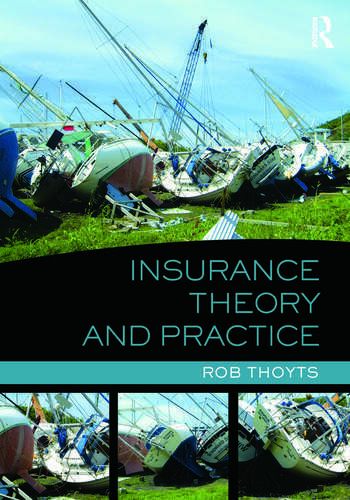 Rob Thoyts is Senior Lecturer at London Guildhall University, and also lectures at the Chartered Insurance Institute and the Institute of Risk Management, UK.